Heat grill pan on stovetop. Sprinkle chicken with seasoning on both sides and rub onto meat. Cook chicken until juices turn clear, about 6 minutes per side. You can also add more veggies like sautéd bell peppers and onions. Or top with 1 tsp of guacamole. Brown rice on the bottom, spoon black beans on top of rice. Add chicken. Sprinkle with a little shredded cheddar and top with spinach. And because I follow the container system with the 21 Day Fix here are the serving sizes I use. 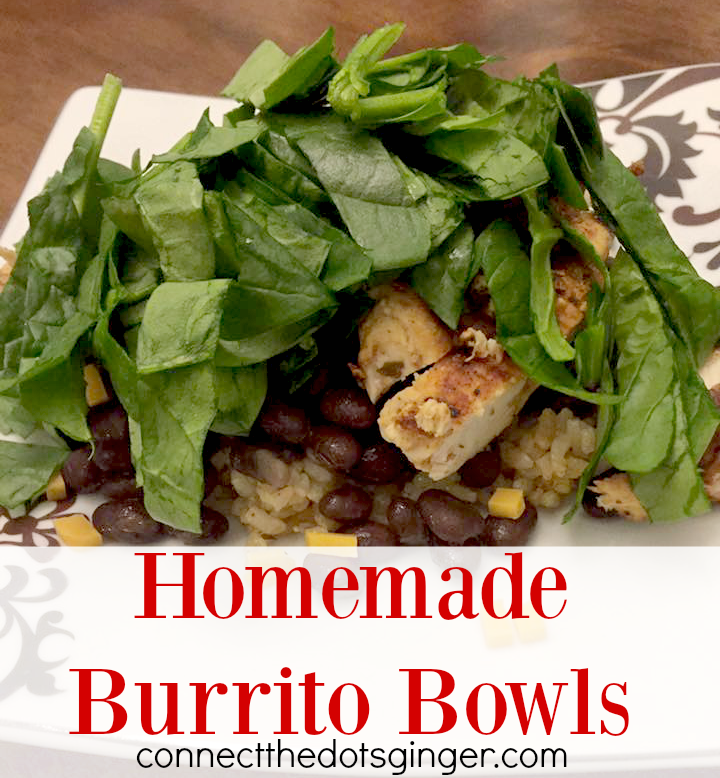 1.5 greens of spinach, 1 yellow of rice, 1/2 yellow of black beans, 1 red of chicken, 1/2 blue cheese. ENJOY!